We love unique products made just for kids, especially if they add a little independence. If you love those kinds of products as well, you are going to love Myself Belts. 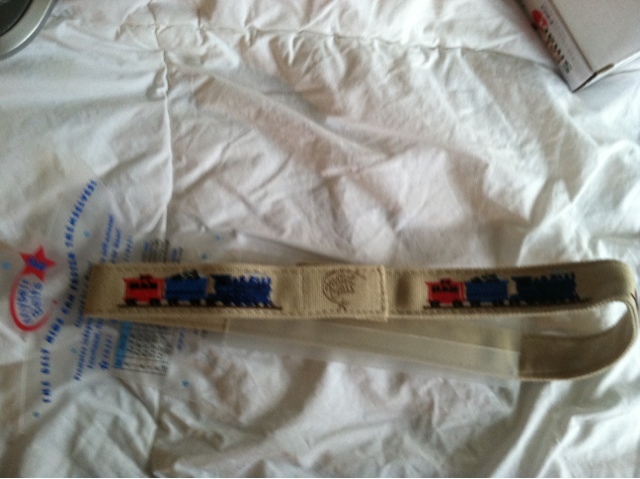 The adorable belt we got to review was this train belt, for our 5 year old who adores trains. 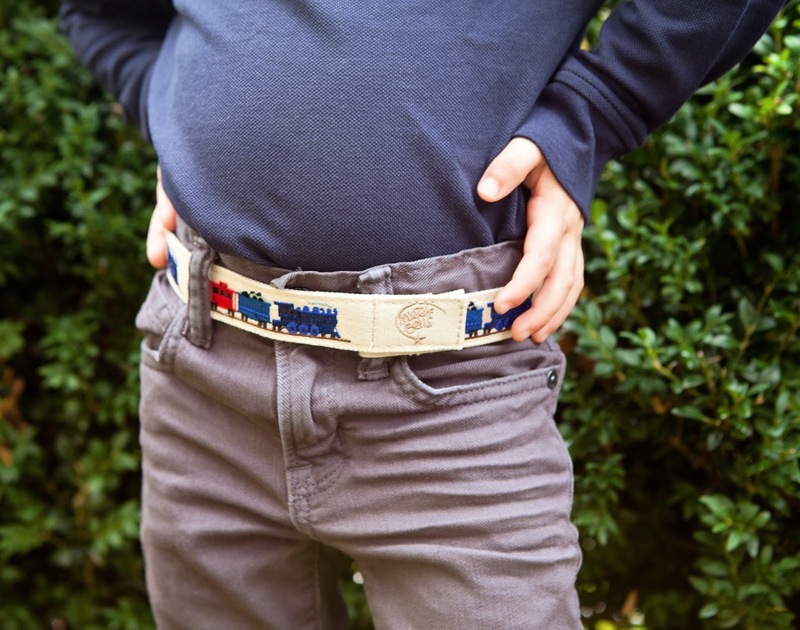 The belt actually attaches to the belt loops, making it easy for a little person to "buckle" themselves. I love it for my 5 year old because I do not have to worry about whether he will be able to buckle and unbuckle his own belt when he is at school. Right now, they are running a special: Buy 2 belts and you get free shipping! You can also have your belts monogrammed! What a perfect gift for the little boy or girl in your life! Add code BREAK10 to your cart to save an EXTRA 10%!!!! Visit: http://www.myslefbelts.com to see all of the adorable styles! MamaBreak received a belt to review here on MamaBreak. We did not receive any other type of compensation. As always, our experiences and opinions are our own.